It’s that time again. Time for pumpkin spice everything, crafting, holiday parties and most important, family! Get a head start on the holidays this season by booking your 2018 holiday family photo shoot! Space is extremely limited! Only 8 spots available! 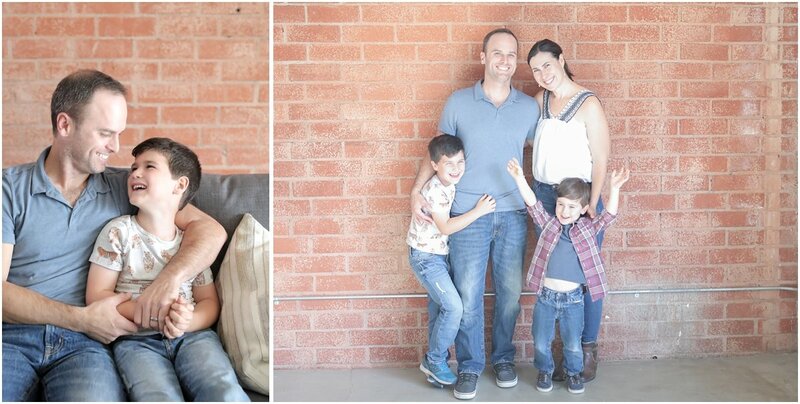 Get your family photos done quickly and in a cozy, unique and inviting environment. Your 1-hour holiday photo shoot comes complete with snacks and beverages, 3 unique “sets” and a full 45 minutes of shooting time. 3 “sets” to shoot in: Christmas Tree, living room, seamless, and brick wall. Full color correction and basic editing on all your images. Claim your spot: purchasing your shoot below locks in your spot. Schedule your session: Once your purchase is complete, you will receive an invitation to select your time and schedule your photo shoot. Photo Shoot: Please arrive on time on the day of your shoot. Each session is 45 minutes. Photo Delivery: Photos will be delivered within 10 days after shoot. SPACE IS EXTREMELY LIMITED. ONLY 8 SLOTS AVAILABLE.